With a European cold snap imminent, spare a thought for those sweltering in Brazilian heat. 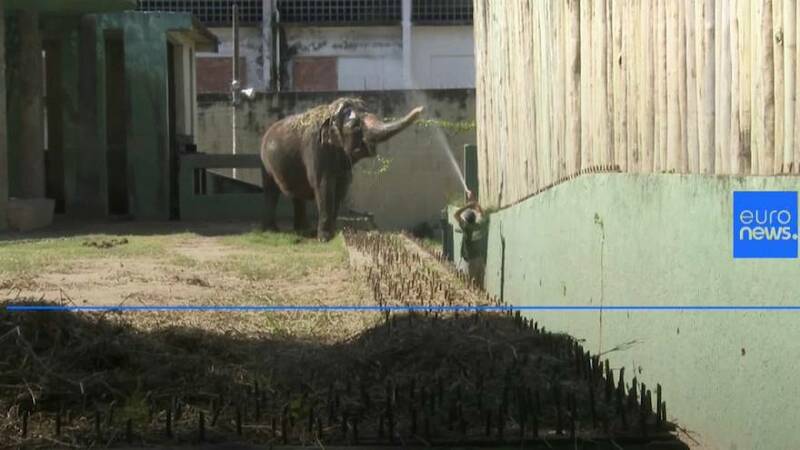 Special measures are helping protect these animals at Rio zoo from temperatures hitting 47°C. Blocks of ice, frozen fruit and meat and air conditioning are the order of the day. Laura Vieira, a biologist working at the Rio de Janeiro Zoo, said the frozen food treats and the other measures to combat the hot weather help not just to lower the animal's temperatures, but to stimulate them. "The animal that feels the heat stays quiet in the high temperatures, and that is what we try to change by putting that food (blocks of ice and frozen fruits) and making some improvements like the air conditioning" Vieira said.